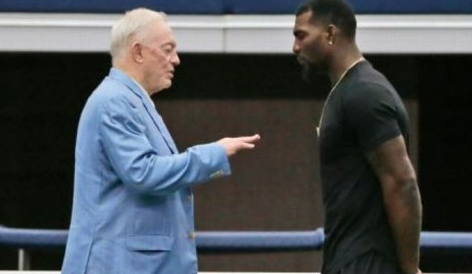 An alleged Walmart parking lot video of Dez Bryant doing some inappropriate things may or may not exist depending on whom you speak with. What we do know is that Dallas Cowboys owner and general manager Jerry Jones was all over it from the beginning. In a deep and provocative interview with Rolling Stone magazine, Bryant admitted that Jones is the person who initially informed him that such a tape may exist. Bryant still maintains that the tape doesn’t exist, with local PD supporting his claim as well. The Cowboys paid the Pro Bowler a handsome extension as well, meaning they don’t believe that video exists either.